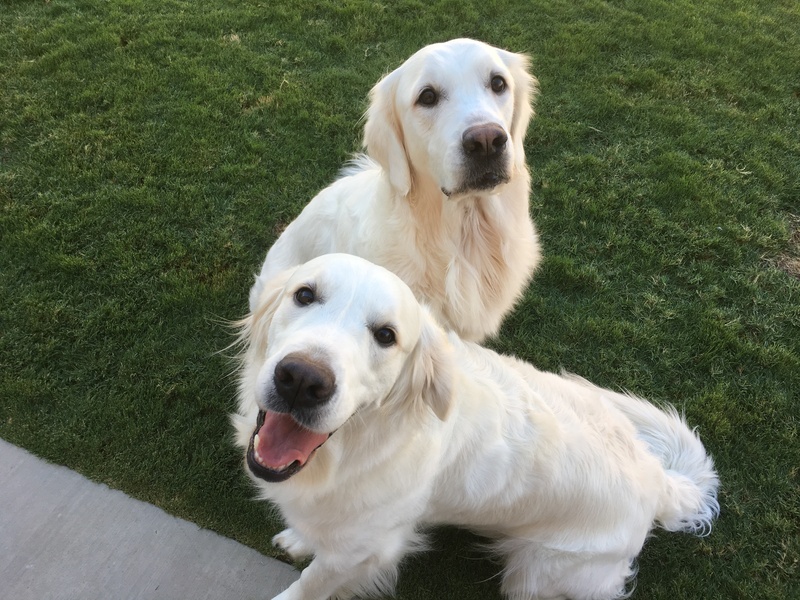 We are thrilled to have added Teddy and Bear to our family pack. They are sisters from the same litter born on June 11th 2015. They are inseparable. They are bred from Champion blood lines. Their DAM & SIRE are National Champions of the Republic of Bulgaria and owned by the Bearden Pack. Teddy is an intelligent, fun loving and loyal companion. She has an exceptionally calm personality and independent nature. She is a gentle giant and loves all visitors and children. She has a strong stocky build and wonderful confirmation. She loves to cuddle, enjoys playing with her sisters and all their toys in the backyard. Pool time is all the time and her favorite pastime. Bear is an intelligent, fun loving and loyal companion. She has an energetic personality and playful demeanor. She is gentle and loves visitors and children. She has a wonderful confirmation. She loves to cuddle, enjoys playing with her sisters and all their toys in the backyard. She enjoys playing in the sprinklers. Pool time for Bear is all about playing life guard to her sisters and everyone in the pool.